← What are you really putting on your skin? Full of minerals, including selenium (a powerful antioxidant). It has more selenium than whole wheat or garlic. In fact, it contains a number of anti-oxidants that protect against the kind of free radical damage that weakens the arteries. Supplies your body with iodine and vitamin A, needed by the thyroid gland which helps the healthy functioning of the heart and cardiovascular system. Contains lecithin, a substance that assists in the proper assimilation and metabolism of cholesterol and other fat constituents. It is shown to help with growth and development, gastrointestinal health, arthritis, and helps protect the immune system. I noticed that most benefits noted above actually help with weight loss. Antioxidants, vitamins, medium chain fatty acids, all help to pump up your metabolism and of course, your overall health. Fat is not bad for you. Society is blaming natural food labelled as ‘fat’ for global obesity and poor heart function, when over-processed foods and lack of movement is the reason. However, the best butter you can eat is raw, organic butter from grass-fed animals because pasteurization destroys nutrients. 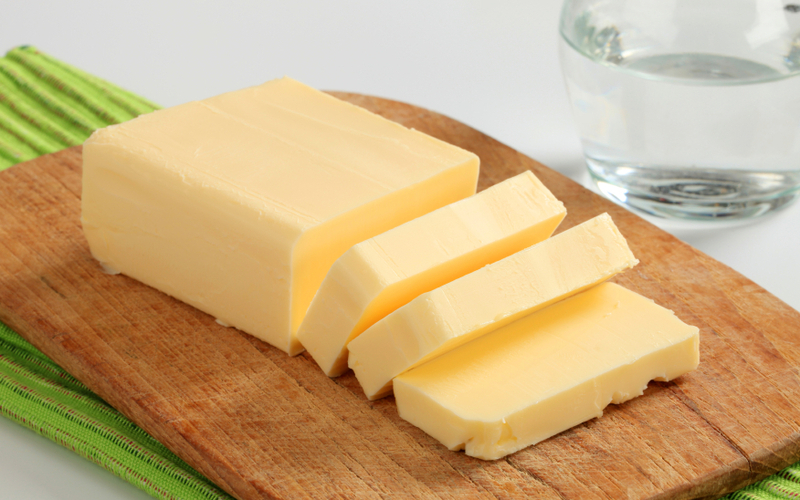 ‘Fake’ butter that can contain trans fats, additives and preservatives. This entry was tagged Beauty, butter, Change, Fat, Food, Health, healthy, Weight loss. Bookmark the permalink.